Sixty State Street office building by Miller & Favazzo Properties - quality real estate development and property management. 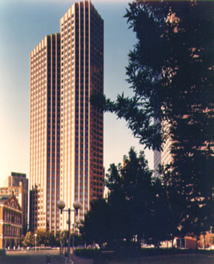 Developed in the late 1970s, this 823,000 SF landmark office building anchors the financial district in downtown Boston. Designed by Skidmore, Owings & Merrill, it features an all-granite façade, a distinctive 11-sided shape, and a sloping roof, all which create a recognizable silhouette on the Boston skyline. 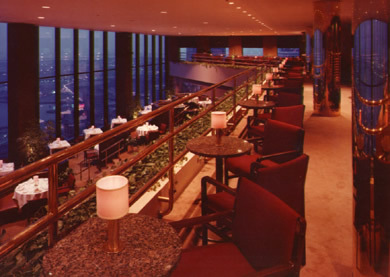 The building is home to one of Boston's largest and most distinguished law firm, Hale and Dorr, and incorporates three restaurants, including the Bay Tower Room on the 33rd floor overlooking Boston Harbor.